RAM Audio participated, for the first time, in the Chinese ProLight+Sound trade show in Shanghai. 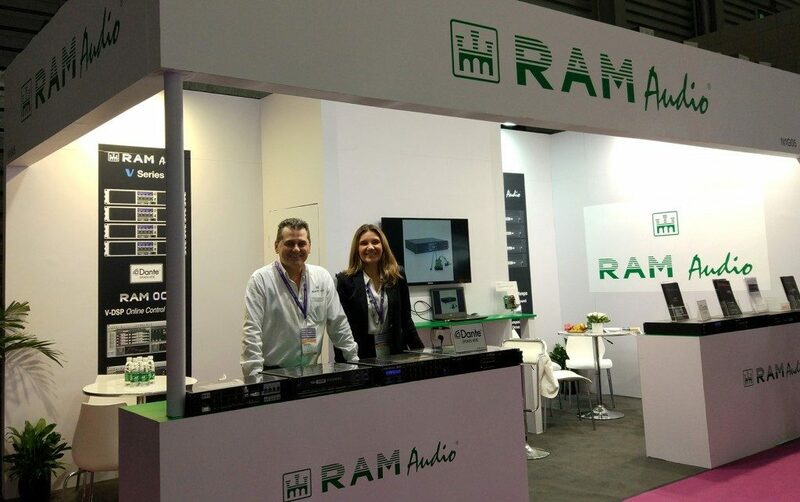 Although RAM Audio works, since long time ago, with Ruisheng as its official distributor for Mainland China, Hong Kong and Macau, RAM decided to participate directly at this event to attend foreign visitors who usually visit this show. General Manager, Mr. David Arnau, and Sales Manager, Ms. Mónica Royo, were attending the booth with the help of 3 people of the sales staff of Ruisheng Chinese distributor. A considerable number of companies from China, Russia, Korea, Vietnam, Malaysia, Oman, U.A.E., Indonesia, etc., dropped by RAM Audio stand interesting in the Spanish amps. All main customers of Ruisheng were invited to the stand and some important projects for the incoming months were signed there; you will have more news about them. Caption first picture: Mónica Royo and David Arnau from RAM. 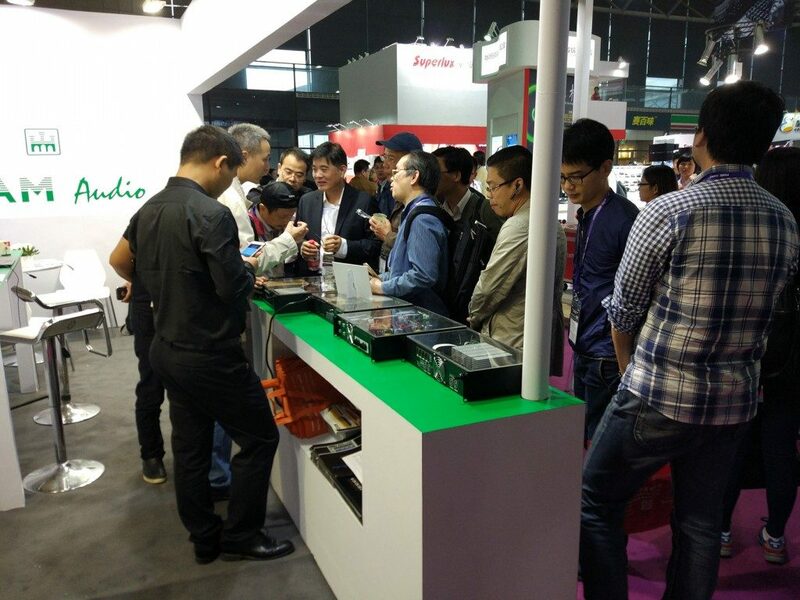 Caption second picture: Ruisheng managing director of Shanghai office, Mr. Xu Hao, explaining about RAM V amps to Chinese customers. 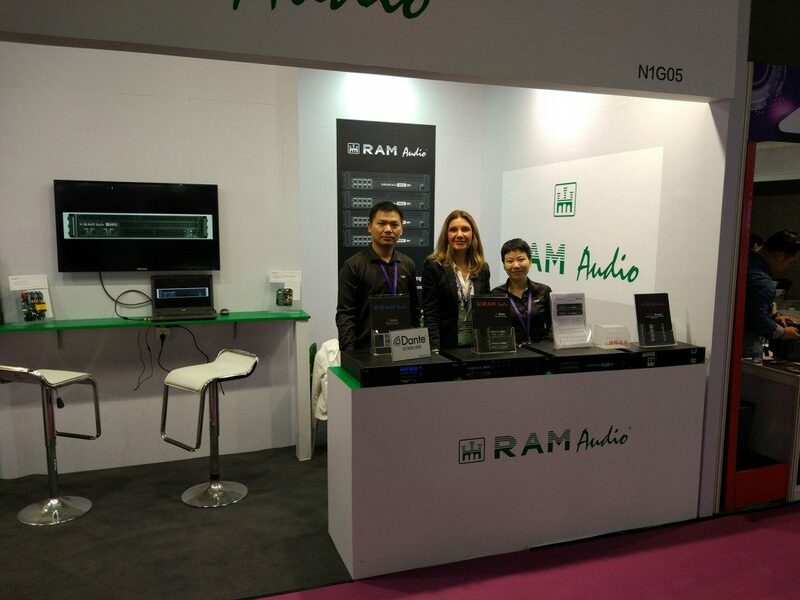 Caption third picture: sales staff of Ruisheng Guangzhou office and Mónica from RAM.